If you haven’t heard, ‘tis the season to be jolly! Fortunately, ‘tis also the season where folks are looking for new holiday-themed promotional products. Here are 10 to get you and your clients started! 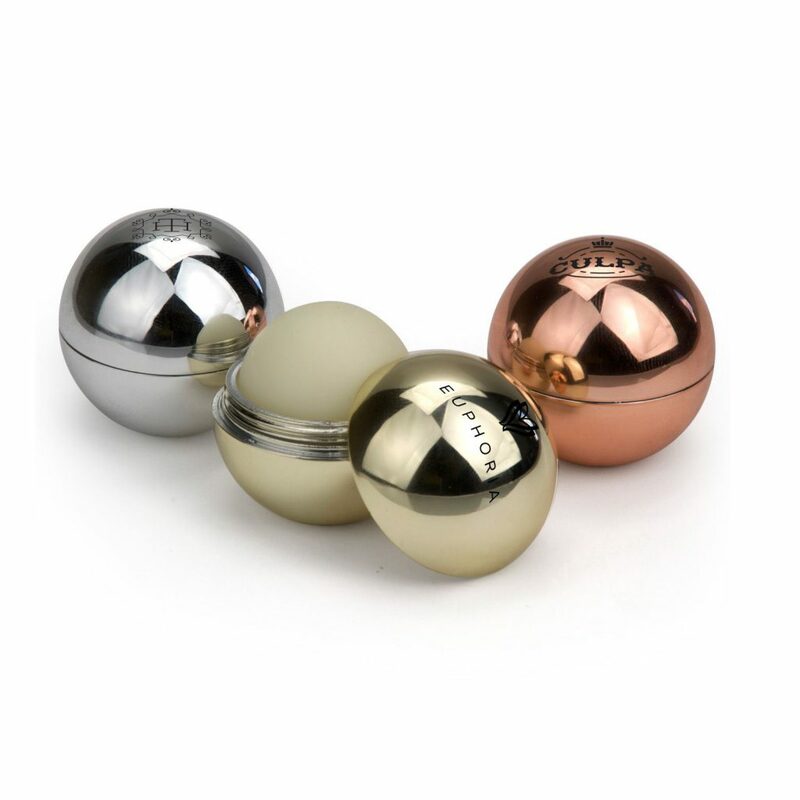 Mind your own beeswax with these festive, spherical lip balm balls! These pretty pieces evoke the holiday season with their silver, gold, and rose gold colors (and they also give the gift of non-chapped lips). When the winter winds come blowin’ in, it’s time to get bundled up. 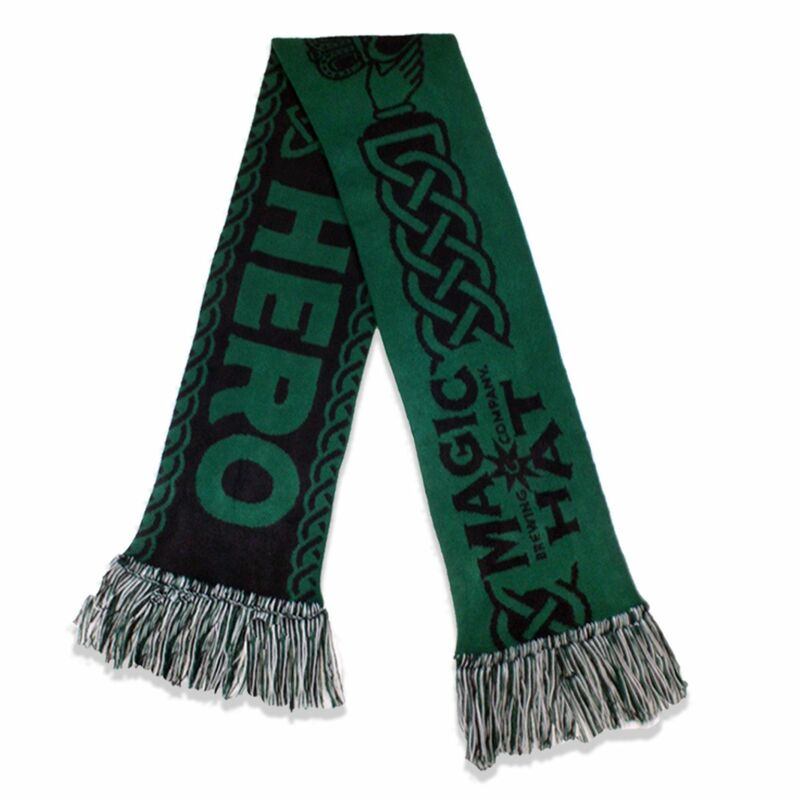 Your customers will love these made-in-the-USA scarves, and it will give them plenty of space to promote their brands. The holidays are a time for celebration and that means many people will be breaking out the bubbly. 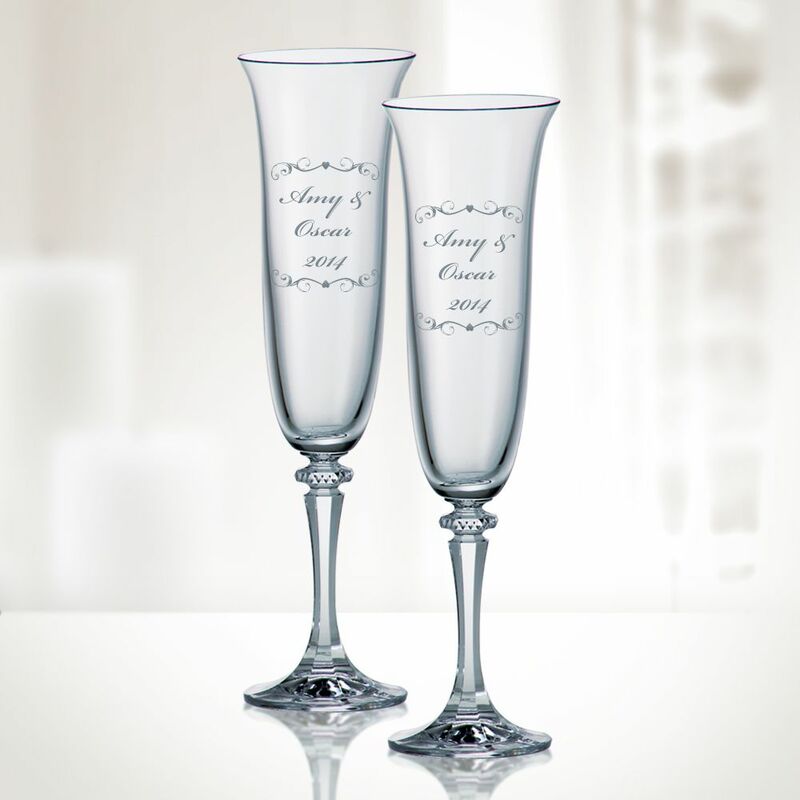 A branded wine glass is a fantastic way to show off logos and brand messaging. Let your customers know their businesses should be out there during the big moments like family parties, fireside chats, and even those midnight fireworks! 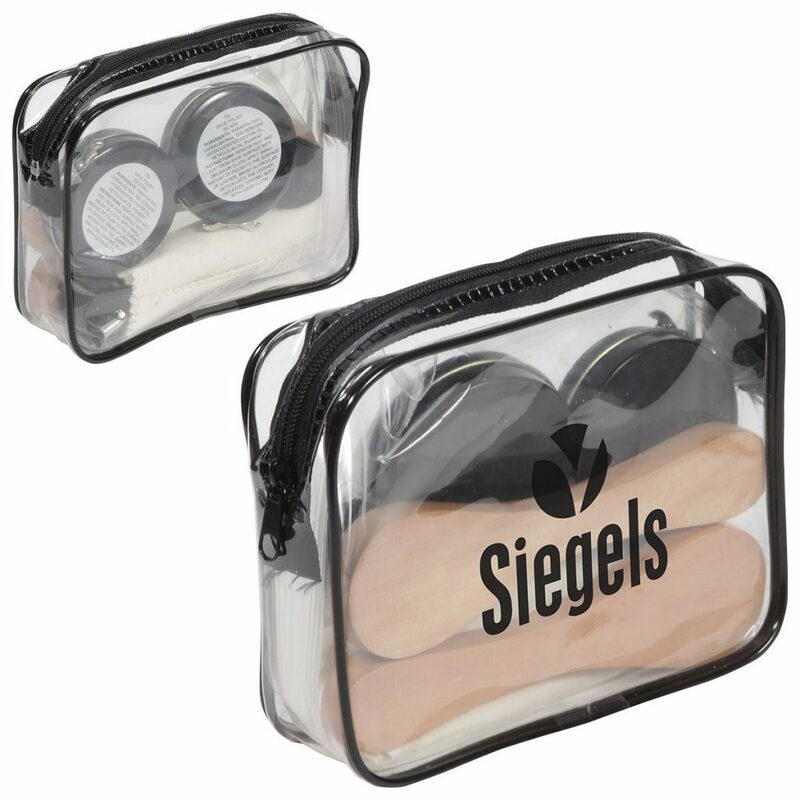 These are a perfect pitch for holiday parties and even employee rewards. These soy candles in a fetching tin are just the kind of practical gift that a lot of people really enjoy. Notice that beautiful branding, in full color on the lid. There’s no forgetting who came up with this bright idea! Nothing helps a guy or gal win big at a seasonal soiree like a few smart wardrobe choices. People are quick to pull out those lavender jackets and pashmina scarves but tell your customers not to let people forget about their shoes! A quick polish and the shoes are in tip-top shape. Now your customer’s brand will be associated with dependability and class. 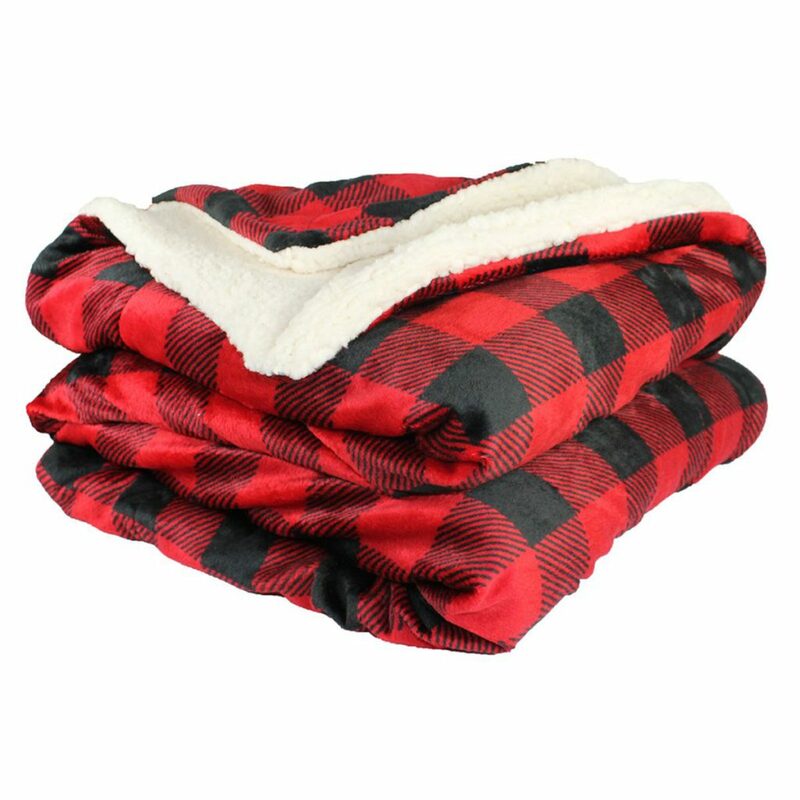 While your client is meeting with you about awesome ways to promote their business, hand them this wooly, plaid blanket and wait a mere ten seconds for them to become cozy and thankful for such a generous gift. These blankets also make great employee rewards. Choose a plaid pattern, evoking images of wrapping paper and warm jackets, to incorporate some holiday spirit. Ancient wisdom dictates, “If you give a man a corn cob, you feed him for a day. If you give him a tin of gourmet popcorn, you might make it two days or even three.” Okay, we made that up, but it still makes sense. 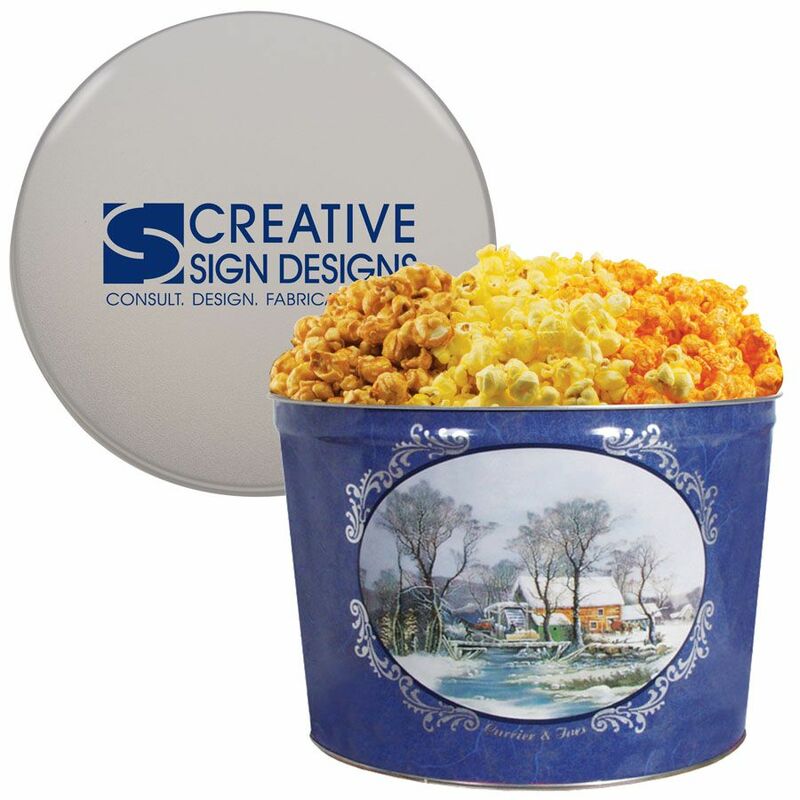 Gourmet popcorn in a festive tin makes a classic gift for the whole family. 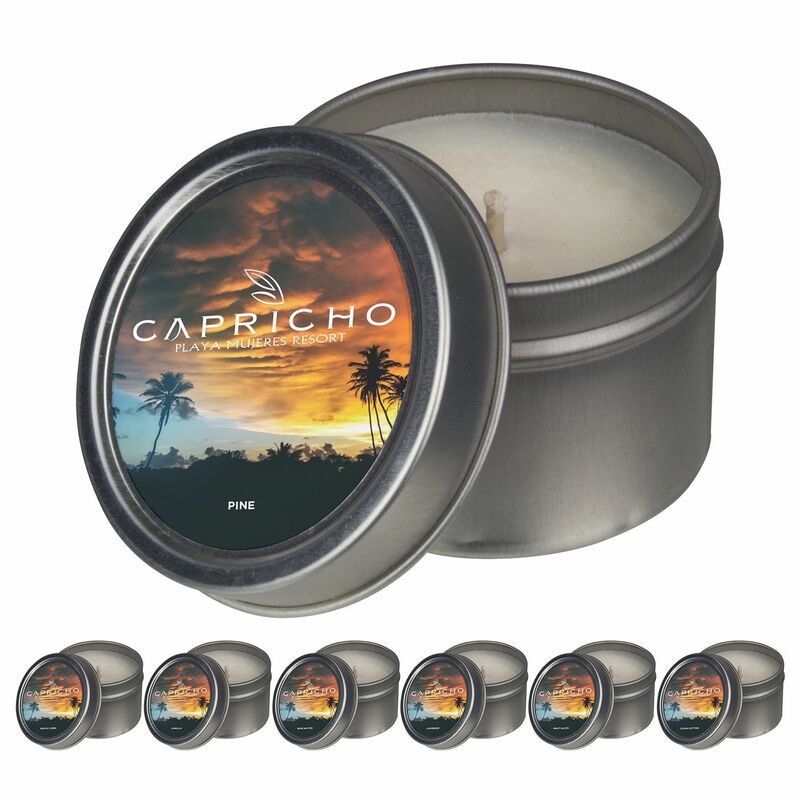 The tins are often reused and offer extra brand exposure in the future. Another way to let folks warm up to a brand is with a custom mug and some hot cocoa. Drinkware is one of the most popular categories in the promotional products industry for a reason: everybody drinks! 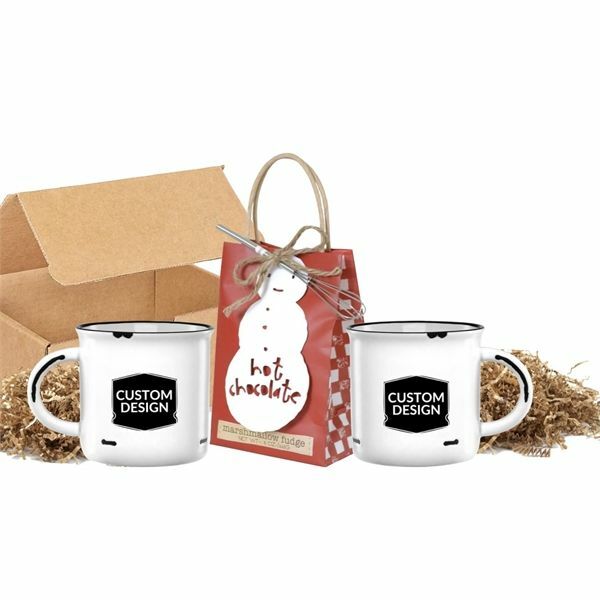 This season let your customers know it’s time to promote the sweet gift of hot chocolate! When folks decide to break out the bubbly and wine, you want your customer’s name to be right there to celebrate the holidays with them. 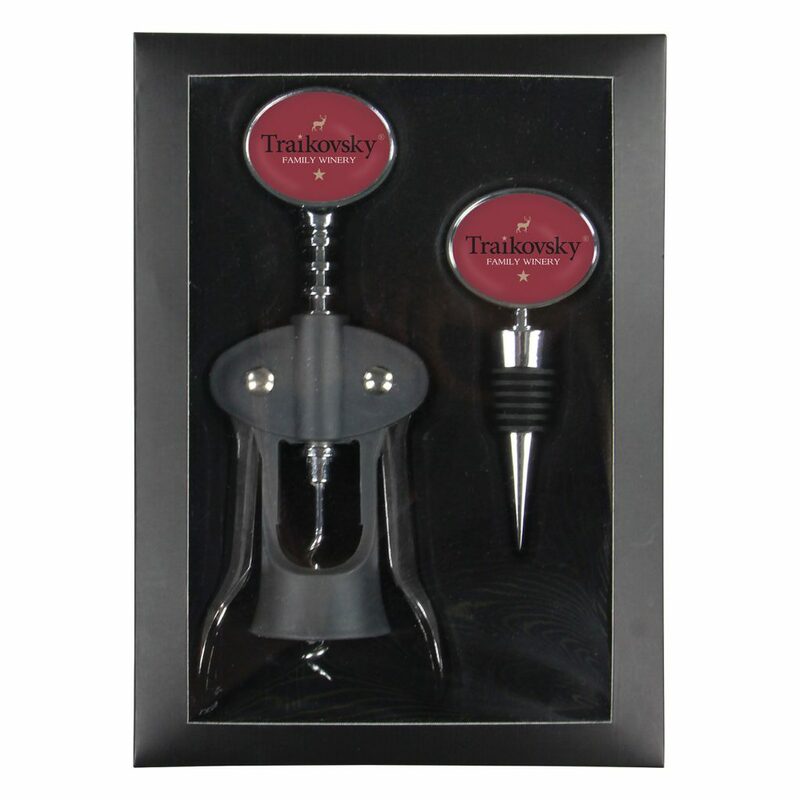 Another great way to do that is by getting their brand on an awesome wine set. 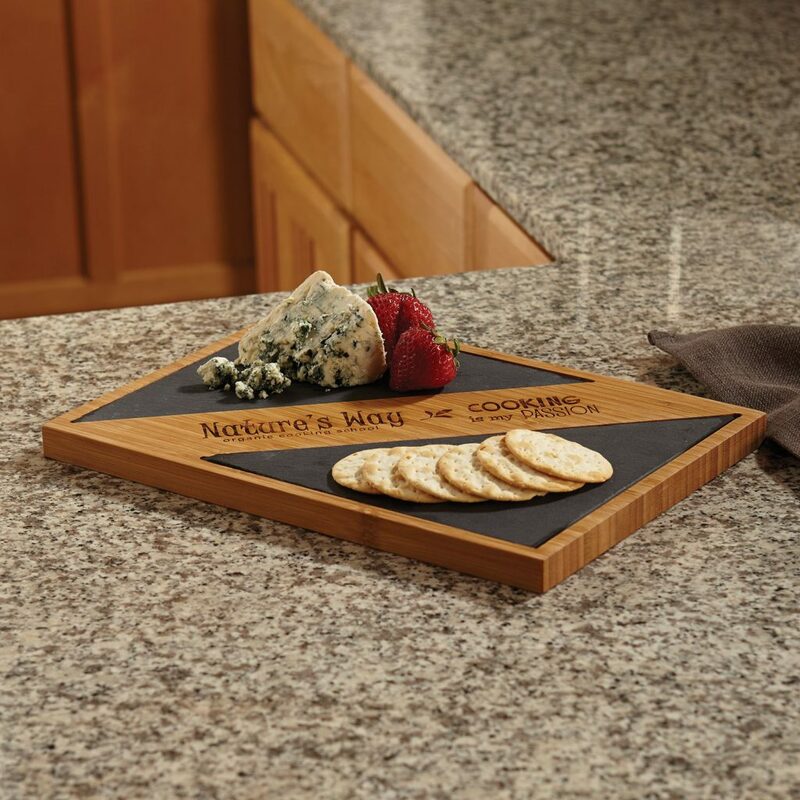 Serving boards are all the rage during the holidays. They can also be a true savior in those moments where the turkey needs an extra forty minutes of cooking and the only thing that will save your stomach is a cracker and some cheese. With your customer’s brand on the serving board, they’ll end up the hero of the party. We’re having a fun time coming up with holiday promotional products ideas. Do you have any? We’d love to hear them! Also, you might want to consider a classy board game as well. Have you read our behind-the-scenes blog about Wood Expressions Games?